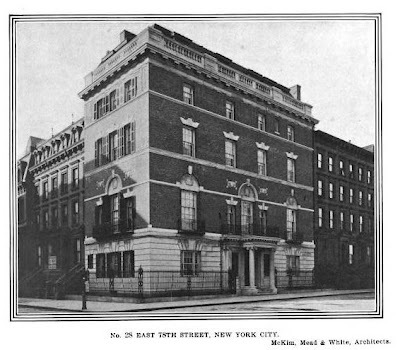 The Philip Robbins residence designed by McKim, Mead & White c. 1902 on East 78th Street in New York City. Click HERE to see the Robbins residence on google street view. Photo from Architectural Record, 1903. Zach, do you know what this residence is used for today? Is it still in private hands or an apartment building. I don't know though if I had to guess I would say either private residence or the office of some organization.